Many mothers have disturbing fantasies of killing their children. Husbands imagine, with guilt, cheating on their wives. Parents stand on the brink of hitting their teenage children, or may actually do so, while the teens fabricate elaborate strategies of revenge. Hurt, pain, uncontrollable rage, and other forms of abuse also make up the dark side of love. This landmark book has a bold thesis: The denied dark side of love that can show us love's true nature. By acknowledging our "negative" feelings, we can come into the full spectrum of emotion and hear the message of our darker feelings, without acting them out. Through this, we can increase our capacity for love. To explain her perspective, Jane Goldberg traces the development of love and hate from infancy. She debunks simplistic myths about mother love and portrays the mother/child bond in all its facets. She explores the hidden recesses of family love and romantic love and shows how the acceptance of constructive expressions of anger, jealousy, and competition can enhance intimacy. 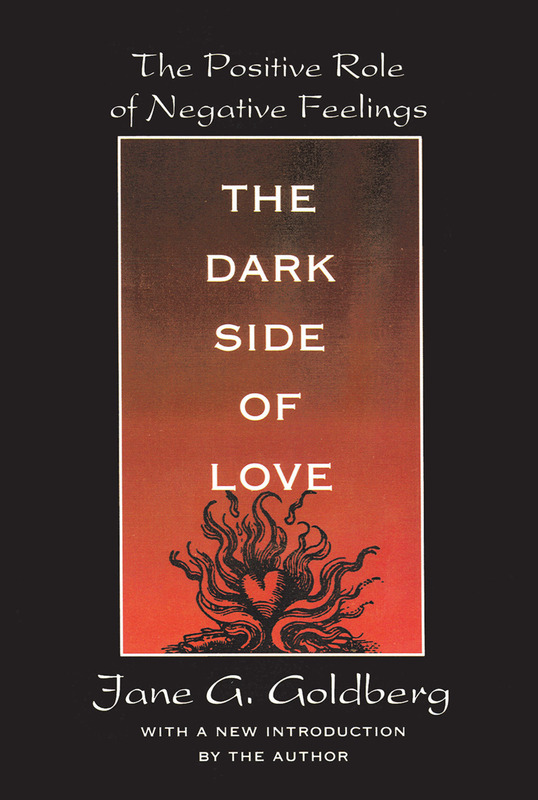 Drawing on case histories from her psychoanalytic practice, as well as mythic stories, Goldberg offers insights into the troubling but universal nature of the dark side of love. In a highly accessible style she explores how to develop a "psychological immune system" to protect against the potentially destructive elements in relationships and allow for a constructive expression of love's dark side. Her debate-provoking book should be read by psychoanalysts and psychotherapists, individuals who have suffered from the pains and hurts of love, and indeed, by those who are interested in human motivation and behavior.